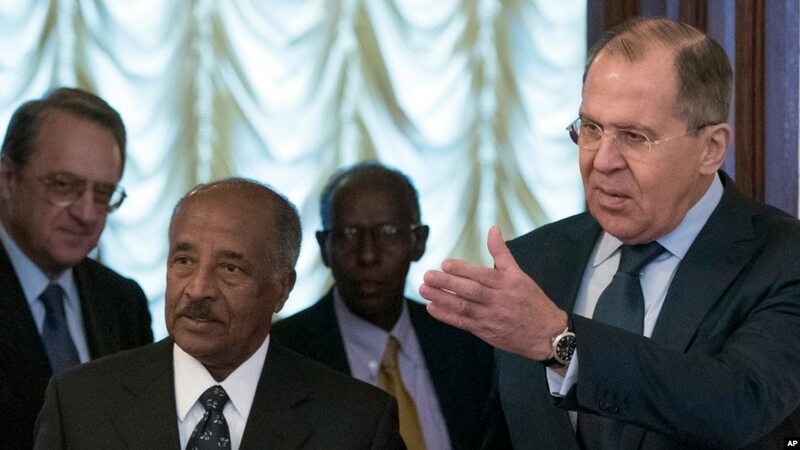 FILE - Russian Foreign Minister Sergey Lavrov, right, welcomes Eritrea’s Foreign Minister Osman Saleh Mohammed, second from left, prior to a meeting in Moscow, Russia, Monday, Jan. 30, 2017. 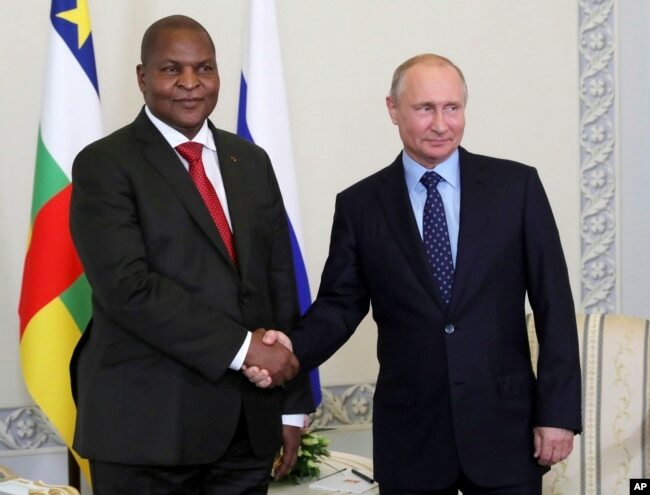 Russian President Vladimir Putin, right, shakes hands with Central African Republic President Faustin-Archange Touadéra, in St. Petersburg, Russia, Wednesday, May 23, 2018. For Eritrea, a deepening Russia alliance is the latest sign that decades of isolation may be ending, after a historic peace deal in July with neighboring Ethiopia. Since that agreement was signed, Eritrea’s president, Isaias Afwerki, has met with leaders from Saudi Arabia, the United Arab Emirates, Somalia and South Sudan. He’s also received delegations from Japan and Germany. For Friday’s meeting, Eritrea sent a delegation led by Foreign Minister Osman Saleh and Yemane Ghebreab, a senior presidential advisor, to Sochi, Russia, about 3,100 kilometers north of the Eritrean capital, Asmara. It’s the latest get-togetherin the countries’ 25-year diplomatic relationship. Noteworthy that #Eritrea and Russia are beginning to talk about business deals. US and France should hurry to lift UN sanctions against Eritrea or they will lose out on good investment opportunities in the Red Sea nation. Last year, U.S. Congressman Dana Rohrabacher called for renewed military tieswith Eritrea in the fight against terrorism. 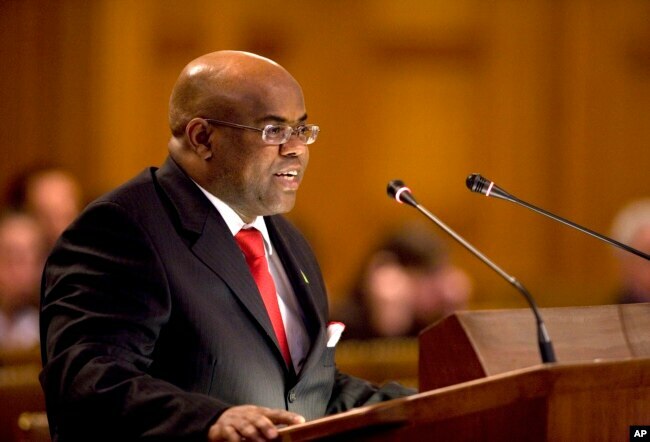 FILE - Djibouti’s ambassador to the United Nations, Mohamed Siad Doualeh.